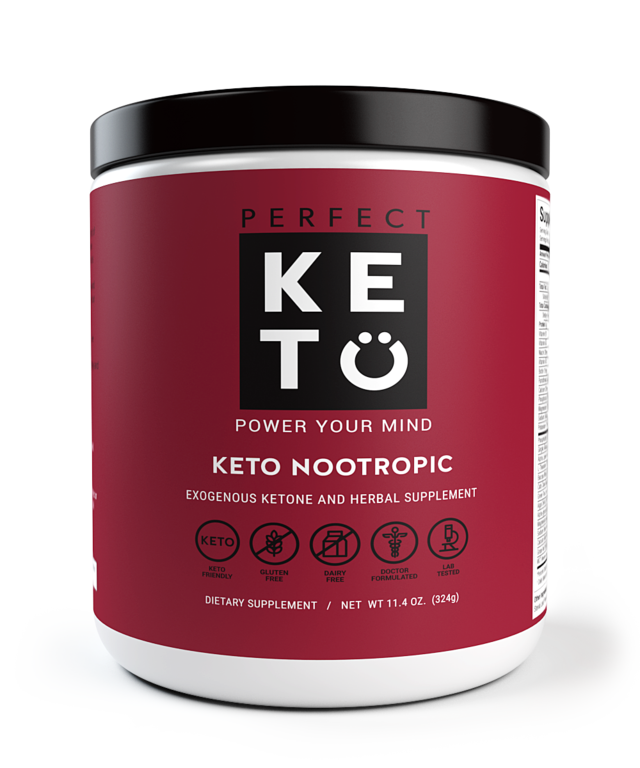 When I heard about Perfect Keto’s Micronutrient Greens Powder, I was instantly intrigued because it promised to deliver tons of micronutrients in drinkable form without the risk of consuming too much sugar. I tried it out for myself, and here’s everything you need to know about the Greens Powder. Oh yeah, and if you use my promo code FISHYKETO, you can try it for 15% off! 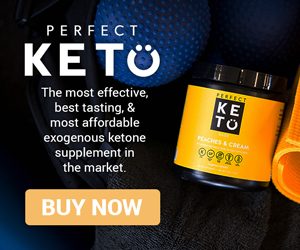 What Is Perfect Keto Greens Powder? Greens and vegetable blend: Alfalfa leaf juice, wheatgrass, barley grass, oat grass, broccoli, cabbage, parsley, kale, spirulina, chlorella, kelp, dulse, dandelion, and broccoli sprouts. Berry and fruit blend: Raw berries and fruits including apple, pomegranate, blueberry, strawberry, and more. MCT oil powder: Perfect Keto’s Greens Powder includes pure MCT oil powder, which is coconut oil fat to fuel your brain and body. Liver support enzymes: These ensure effective delivery of nutrients. Digestive enzymes: The help your body break down the plant nutrients. Reishi mushroom: A mushroom that decreases inflammation, fatigue, skin problems, and anxiety. 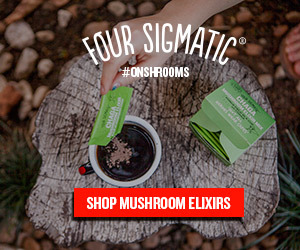 For more supplements containing beneficial mushrooms, check out Four Sigmatic‘s drink mixes that include reishi and other medicinal mushrooms. Inositol: An ingredient derived from plant sources that helps nerve conduction, fat breakdown, and insulin regulation. Whenever I use Perfect Keto Greens Powder, I know my body is loving all the good things I’m putting into it. It’s a truly powerful multivitamin in powdered form, and it’s formulated with enzymes that help your body absorb it better than a traditional multivitamin. One thing that really excites me about Perfect Keto Greens Powder is that the greens and vegetable blend includes broccoli sprouts. Dr. Rhonda Patrick introduced me to the power of broccoli sprouts. They contain sulphoraphane, a compound found in cruciferous vegetables that has a variety of benefits for the brain, aging, cancer prevention, and more. According to Dr. Rhonda Patrick, broccoli sprouts even have nootropic properties, so one of my daily supplements is Avmacol Sulforaphane Production System. I also occasionally buy fresh broccoli sprouts at the supermarket, which is the best way to get the benefits. The most affordable way to consume broccoli sprouts is to sprout them yourself, but it’s a lot easier to consume them in supplement form. I was also delighted by the presence of spirulina in the greens blend as I’ve heard a lot about its benefits and have reviewed ENERGYbits spirulina tablets. Spirulina is a form of algae that is known to increase energy and endurance. The greens blend also includes chlorella, another type of algae with health properties. Spirulina and sulphoraphane are both expensive to buy in supplement form, so I like the idea of getting both these beneficial substances in one product containing many other vitamins and nutrients. Using Perfect Keto Greens Powder is easy because it dissolves into 8 to 10 ounces of water. If you put it in a glass and try to stir it with a spoon, it may take some time before it truly dissolves, but that’s why I prefer to shake it into a water bottle. If my water bottle doesn’t have a wide opening, I just make a funnel out of paper and tape and use that to add the greens powder. Simple! Whenever you feel like you aren’t getting enough plant nutrition in your keto diet is a great time to use Greens Powder. It’s also ideal for powering a workout. You can buy Greens Powder on the Perfect Keto website. The sticker price is $49, but if you use my discount code FISHYKETO at checkout, you can get 15% off! Use my discount code FISHYKETO at checkout for 15% off Perfect Keto Greens Powder! Greens Powder comes in two flavors, which are orange and lemon. The lemon is the one I’ve tried, and it has a refreshing taste that makes it easier to drink all that green stuff. (Not everyone loves the taste, but keep in mind you’re putting amazing stuff into your body.) I actually wish I’d ordered the orange flavor, though, because I think orange is more like the type of flavor I’m used to having in a green smoothie. Next time! I love how nutritionally powerful Greens Powder is and how well it complements my keto diet. 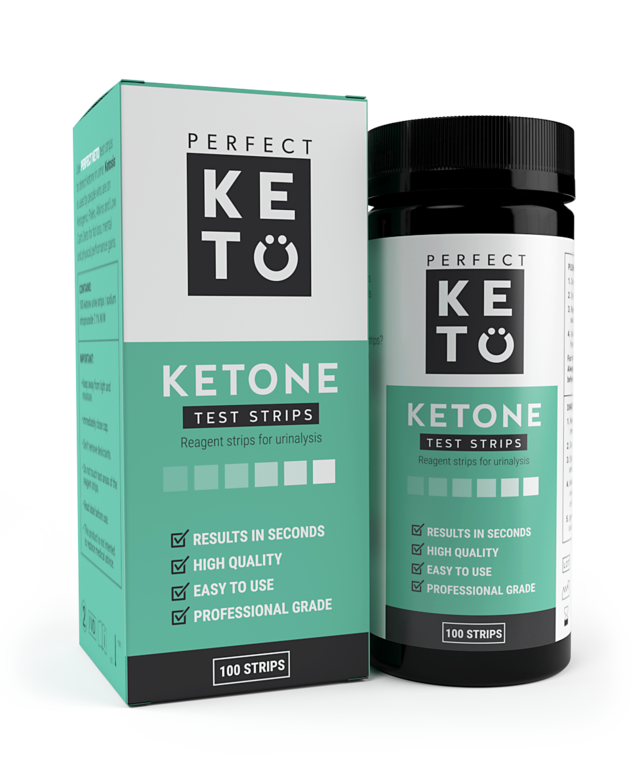 I also love that Perfect Keto does not use fillers in their products, and I know exactly what I’m putting in my body. 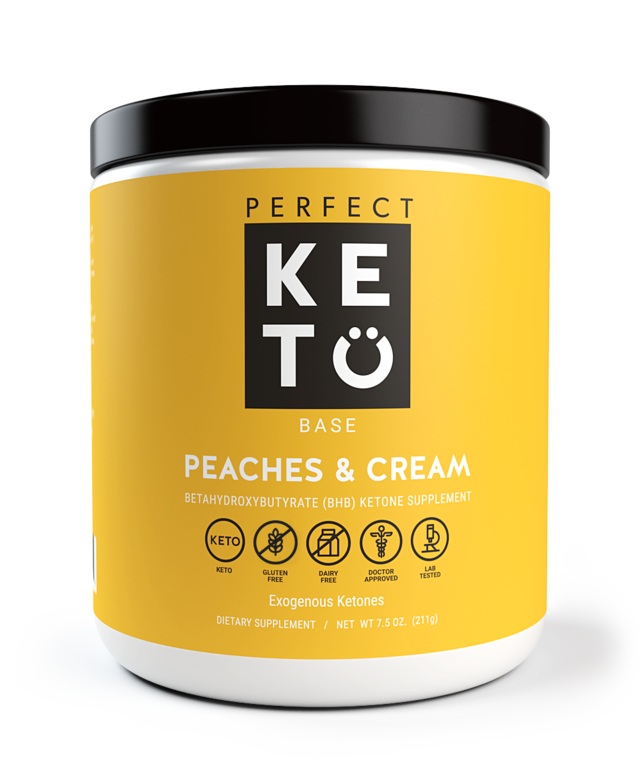 (Other awesome Perfect Keto products I’ve reviewed are their exogenous ketones, MCT oil powder, and keto nut butter.) If you’re not eating enough plants on your keto diet or if you just want an epic dose of nutrition, I highly recommend you order Greens Powder. 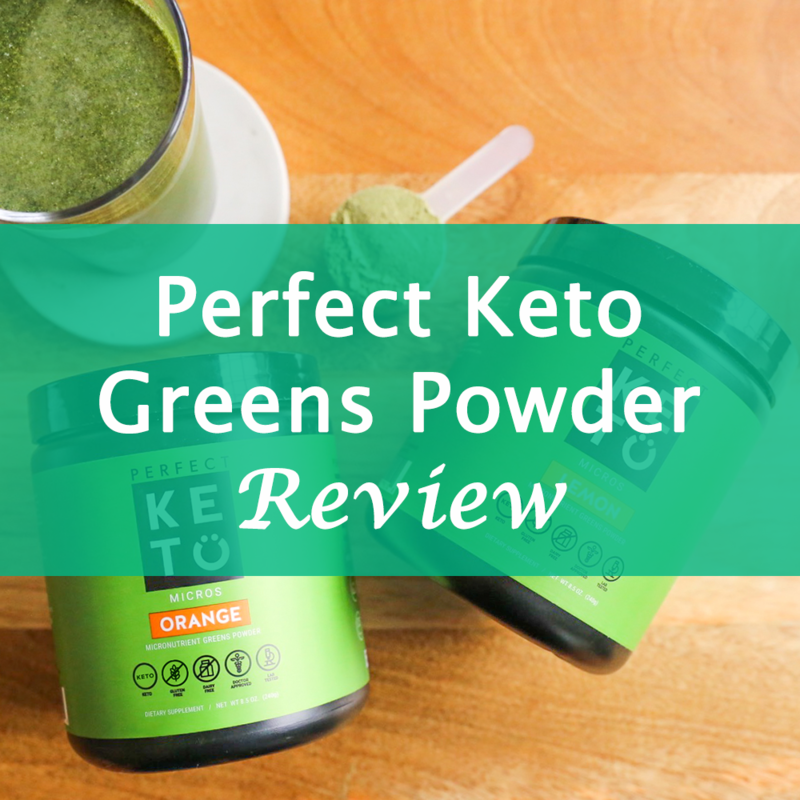 Have you tried Perfect Keto’s Micronutrient Greens Powder? Which flavor did you select, and what did you think of it? Could you feel the energy from all those micronutrients? Share in the comments!